There is usually a story behind the advice runners share with other runners. 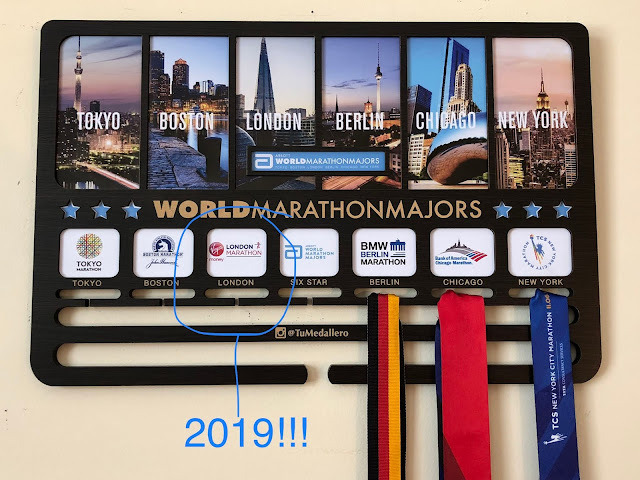 When I first started my marathon training mission I soaked up a lot of information and saturated my brain (and time) with everything running. With that approach you inevitably try things or get advice that saves your life (and your legs). However, you also get advice or try new things that you may ultimately regret. Take at least one day off between running days. This was the best advice because it has helped temper the inflammation in my hamstring tendons. By having more time to rest in between runs I am truly able to recover better and I am so eager to get out and run on my next scheduled running day. Plus I find that I appreciate those days so much more. As I get stronger as a runner and improve my form I will probably build in more cross-training activities on my non-running days. I am striving for overall fitness and health as the ultimate goal, but running needs to be a part of that. Stop running. Really?! I was completely annoyed when my first physical therapist told me this. I asked her if I could be paired with physical therapists that are runners themselves and she responded with "You know, most physical therapists don't run. We know better". Well lucky for me she was able to find a few that understood my need to accomplish the running goals I had set for myself. My current physical therapist is amazing. When I cross the finish line next week it will be in no small part to having done physical therapy for the past 8 weeks. 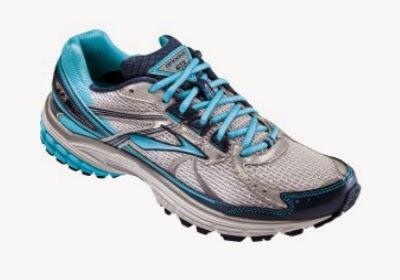 Brooks Dyad 7. I tried these shoes for about a week and a half. They are ridiculously heavy, but I was told that they would "fix my pronation problem" so I tried them. They completely changed the way I ran but it was way too drastic and I ended up stomping my way through each run. I already have a heavy footfall but with these shoes I ran so loudly I was waking up neighbors in the morning! Running in Montego Bay, Jamaica with Del (brother-in-law to-be). Del, an avid runner, was great company. We ran down and then up West Gate Hills and although it was a short run the hills were hard! I ached all over after. It wasn't the location that made this run memorable (Jamaica will always be home no matter where on the island I run), but it was everything else about that weekend. We ran the morning after my grandma's funeral. When you lose someone you love you appreciate each moment you still have just a little bit more. I will never forget that run and even though my heart ached as I ran past my grandma's house (twice), it is by far one of my best training runs ever. May 25th 2014. This was a painful training run. I had exacerbated my hamstring tendonitis at the Doubles Ft. Lauderdale race and each step was excruciating. I should have stopped and just rested that day but I was so focused on completing the mileage I was supposed to run that I pushed myself beyond the breaking point. The next day I called my orthopedic surgeon and got a referral to physical therapy (which was the next option for me before getting steroid shots in my hamstring tendons). I will never again ignore my body's warning signs the way I did that day. Wings for Life (May 4th 2014). This was the inaugural event and it was AMAZING. You can see my Wings for Life race recap for more information about that event. Doubles Ft Lauderdale (May 18th 2014). I haven't done my race day recap for this event yet so I won't go into a lot of details but let's just say that during the 10K leg the signage are horrible and the police officer (the one being paid to coordinate traffic and point runners in the right direction) was busy watching a few female beach joggers so a few of us didn't know where to turn. I ended up running the wrong way and it took me an additional 5 minutes to get back on track. I was beyond annoyed. 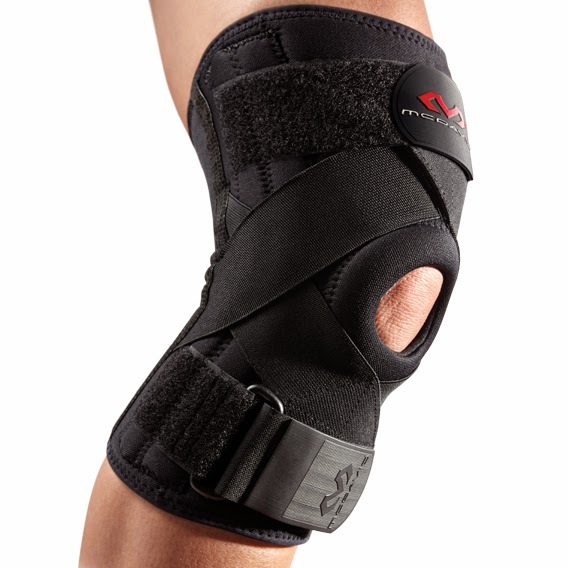 Mac David knee brace. I will write a comprehensive review once I have used it in a race, but so far I am a big fan because it gives my knee the support it needs without over compensating for my knee too much. Hmmm can't say I have a "worst" to be honest. I haven't tried a lot of gear so far. My regular balanced diet. I really try to not eat after 5pm (I'm not crazy this actually works well for my body and my metabolism). I have a good breakfast; lunch is my biggest meal and definitely the most balanced meal I have (on a typical day). Recently I started cutting carbs after 3pm but I don't do that during race weeks. Paleo. I didn't have enough carbs when I tried Paleo. I was soooo tired and sooooo cranky. I think it's a good lifestyle to adopt for most people, but for me it needs to be done in moderation. I couldn't personally do 100% paleo. I love food too much to start eliminating items unnecessarily. I can't eat dairy because of the ridiculous migraines I get, but apart from that I will eat just about anything (but it's usually healthy food don't worry). Tell me some of your "best" and "worst" running advice, running gear, running events etc.